In all of the Star Wars canon, there is no single character, hero or villain, dark side or light, who is as reviled, hated, or inspires as much vitriol as Jar Jar Binks. Even the more die-hard prequel supporters tend to step back and say, "Yeah, that may not have been George Lucas’ best decision." 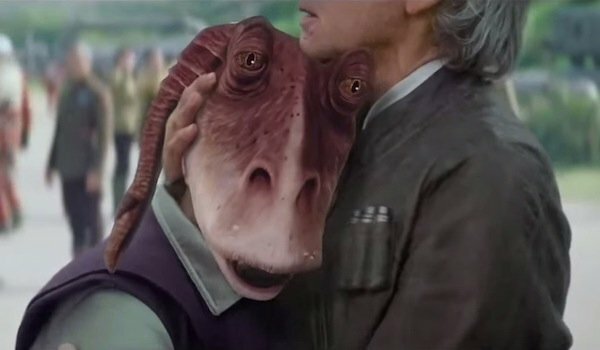 Fortunately he won’t show up in the upcoming Star Wars: The Force Awakens, but just in case you were wondering what it would look like if he did, there’s this new video making the rounds, and it is truly the stuff of nightmares. For the sake of comparison, here’s the original trailer that dropped earlier this week, sans Binks.